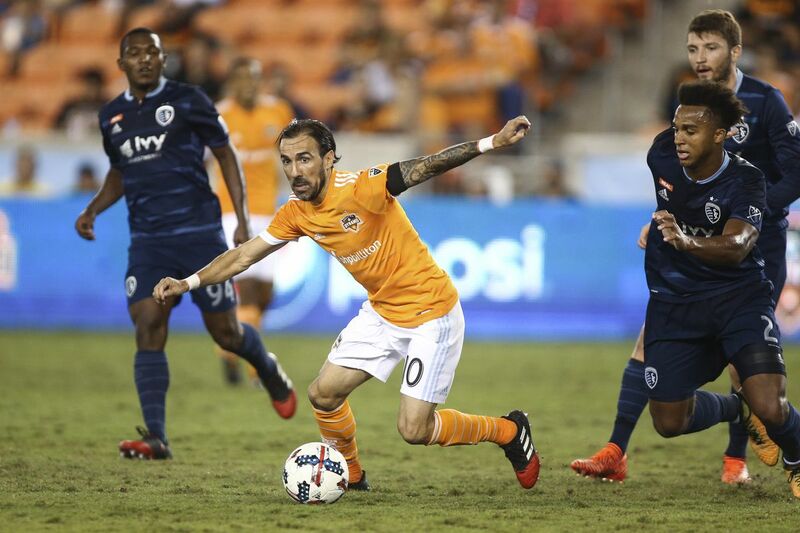 MLS Weekend Preview: Kamara’s Crew Travel to D.C.
As we near the conclusion of 2014/15 regular season in Major League Soccer, two Eastern Conference powerhouses will face off in a battle for a shot at the number one seed in the playoffs. Saturday night at RFK Stadium D.C. United will take on the Columbus Crew. Going into the match, the two clubs sit third (D.C.) and fourth in the conference and are separated by just a point. These two teams face off twice in their remaining five matches, and the results of these key fixtures could very well determine their playoff fates. 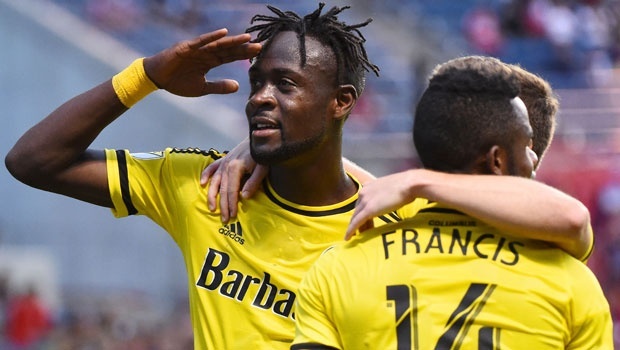 One of the major reasons that the Crew are in such a great position going into the final stages of the season is their star striker Kei Kamara. The Sierra Leone international is enjoying a dream return back stateside after spending the last two and a half seasons with English clubs Norwich City and Middlesbrough. His short stint in English football only yielded five goals, but the Crew’s playing style has reignited Kamara’s lethal touch. Right now, the 31-year-old is currently three goals ahead of Toronto’s Sebastian Giovinco for the league lead with 20 tallies. The last time Kamara lined up against D.C., however, Ben Olsen’s side was able to shut out the Crew striker. Will Kamara be able to find the net this time around? Away from home, the Columbus Crew have been less than stellar. Through 14 matches, Gregg Berhalter’s squad have won just four matches and grabbed 16 points out of a possible 42. In the club’s last five matches away from Mapfre Stadium, however, they’ve been able to win four times. When they travelled to RFK Stadium in May, the Crew struggled mightily in the first half, but looked to come alive in the second 45 minutes. If they can put together a full 90 minute performance on Saturday, the Crew have a great chance of grabbing some more points on the road. It’s been a rough patch of games for D.C. United in the league as of late. The team hasn’t won a match in their last four weeks and had to rely on a late Steve Birnbaum last fixture to secure any points at all. Before this poor stretch, D.C. was a favorite to finish atop the Eastern Conference and secure one of the first playoff berths in the league. In all of these matches, United have failed to score more than one goal, and were shutout twice. These offensive struggles could be what sink D.C. Saturday, and leading scorer Chris Rofle will have to end his four-game scoreless drought if they have any chance of winning. In addition to the offensive struggles United have faced in recent weeks, the defense has been anything but spectacular. 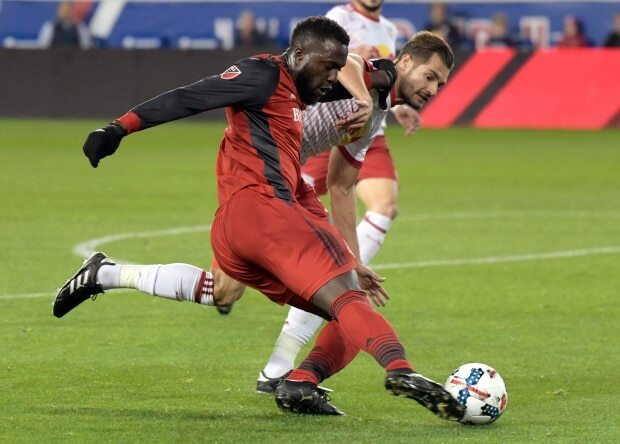 On two separate occasions in their current winless streak, the D.C. defense has allowed three goals, and only twice in their last ten matches have they been able to keep a clean sheet. This porous defense could provide Kei Kamara with an absolute field day Saturday night and it will take perhaps their performance of the year to keep him out of the back of the net. For me, the key to this defensive unit is the keeper Bill Hamid. In his last five matches, the U.S. international has averaged five saves. Hamid has long been considered one of the best keepers in the league, but there’s only so much he can do with such shoddy defensive plays. Expect him to have another busy day against Columbus, and he may be relied on to keep D.C. in the match.